Davie, FL – One Firefly, LLC, an award-winning marketing agency that caters to technology professionals, announced today that its Review Champ product had netted multiple industry accolades at last week’s 2018 CEDIA Expo in San Diego, California. Review Champ, an innovative online review platform that enables dealers to proactively generate positive online reviews, was recognized as a winner of Residential System’s 2018 CEDIA Best of Show awards and as a finalist of Technology Integrator’s 2018 Exc!te Awards. 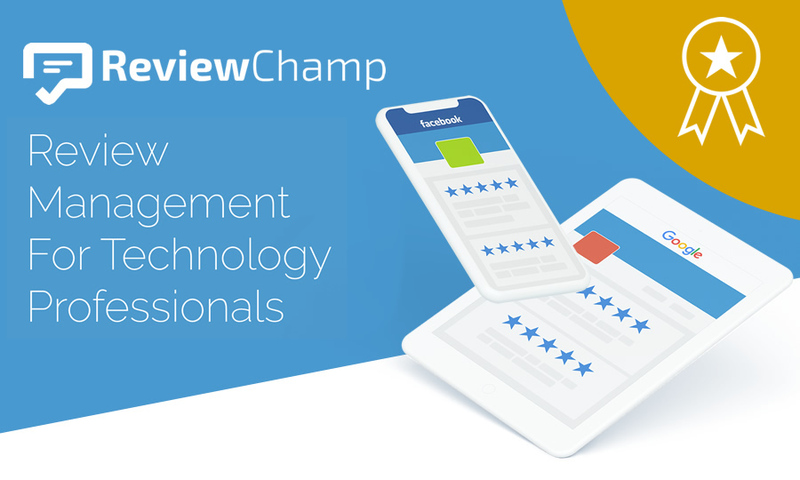 Review Champ enables dealers to generate online reviews from customers by leveraging text message sequences and gated responses, funneling positive customer reviews to online platforms. Customers have the option of posting a review to the most common online review sites, including Google, Facebook, Houzz and the Better Business Bureau. Perhaps the most effective feature that Review Champ boasts, however, is the ability for technology professionals to filter out negative reviews. Residential Systems announced the winners of their annual Best of Show awards at the CEDIA Expo. The products were nominated by the manufacturers and a team of judges was employed to walk the floor and rate the products on a number of criteria, including its value, impact, and how unique it was to the market. Residential Systems entries were judged through the lens of the residential technology integrator. Technology Integrator’s Exc!te awards, or Excellence in Custom Installed Technologies and Electronics, are designed to recognize the best products available to the industry this year. Technology Integrator selects products that stand out for being innovative, high-performing and solutions-oriented for the custom installation professional. One Firefly, LLC is an award-winning marketing agency that caters to technology professionals in the custom integration, security and solar energy markets. One Firefly is headquartered in Davie, Florida with staff located throughout North America and has been operating since 2007. Residential Systems serves the custom home entertainment and automation design and installation professionals with solid business solutions to real-world problems. Residential Systems provides readers with the most timely news, insightful reporting, and product information in the industry. We provide our partners deep marketing solutions and access to the most influential leaders in systems integration. We offer unique services that provide brand/product awareness, demand generation, and thought leadership. Technology Integrator is a business strategy site for the residential A/V and automation integration electronics professional. Technology Integrator is crafted like an exclusive management conference. Business coaching from respected professionals stimulates and educates those who are ambitious for success. The core columns, departments and features are focused on training, employee retention, business management, marketing and merchandising from respected experts in their fields. Our editors address legal advice, financial planning and employee compensation, rounding out the portfolio of topics represented.